An exhibition protesting against the oil company BP and its sponsorship of cultural events—such as I Am Ashurbanipal: King of the World, King of Assyria at the British Museum (until 24 February)—is due to open at P21 gallery in London later this month. 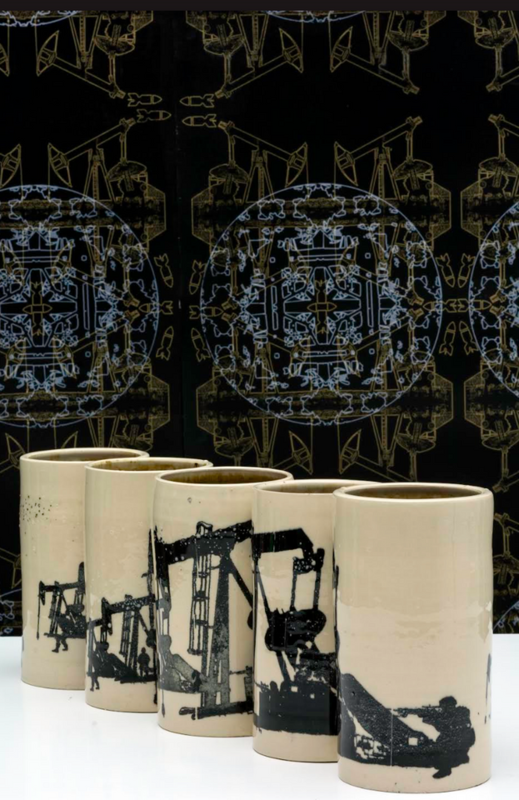 I am British Petroleum: King of Exploitation, King of Injustice (15 February-2 March) is an “interdisciplinary exhibition of work by artists both in Iraq and in the diaspora, inclusive of all ethnicities found within Iraq. The exhibition will focus on uncovering the realities and consequences of BP’s intervention in Iraq,” a gallery statement says. It claims: “The British Museum exhibition of Assyrian artefacts is sponsored by BP, a company guilty of environmental injustice and complicit in the exacerbation of the socio-economic conditions in Iraq that saw widespread protests across the country in 2018.” We sent the statement to BP but the company has not yet responded. The P21 show, co-organised by the campaign group BP or Not BP, is due to coincide with a “mass takeover” of the British Museum on 16 February. The group believes that this will be the largest protest that has ever taken place inside the museum in its 260-year history. “People who care about climate justice, peace, social justice and international solidarity will be coming together to say to the British Museum: drop BP!”, the campaign group says. “The British Museum respects other people’s right to express their views and allows peaceful protest onsite at the museum as long as there is no risk to the museum’s collection, staff or visitors,” a museum spokeswoman says. The oil conglomerate’s sponsorship of the arts has proved highly controversial, with campaign groups staging numerous protests in recent years at arts institutions backed by BP. A spokeswoman for the British Museum says however that the long-term support provided by BP allows the museum to plan its programming in advance and to bring world cultures to a global audience through hugely popular exhibitions and their associated public programmes. The Iraqi-Canadian artist Sundus Abdul Hadi, who is based in Montreal, is taking part in the P21 show. She tells The Art Newspaper: “The work I have created is titled Forensic Facial Reconstruction. In this digital composite image, I reconstruct the missing facial features in the Mask of Warka using my own face, paying homage to my celestial ancestor, Inanna, and my inner goddess, despite our flaws and traumas.” She is also due to show a digital composite self-portrait entitled New Sumerian. Other participating artists include Abdul Karim Khalil, Kassim Abid, Khalid Tawfik and Mariwan Jalal who is showing a mixed-media piece called Power and Destruction (2014).